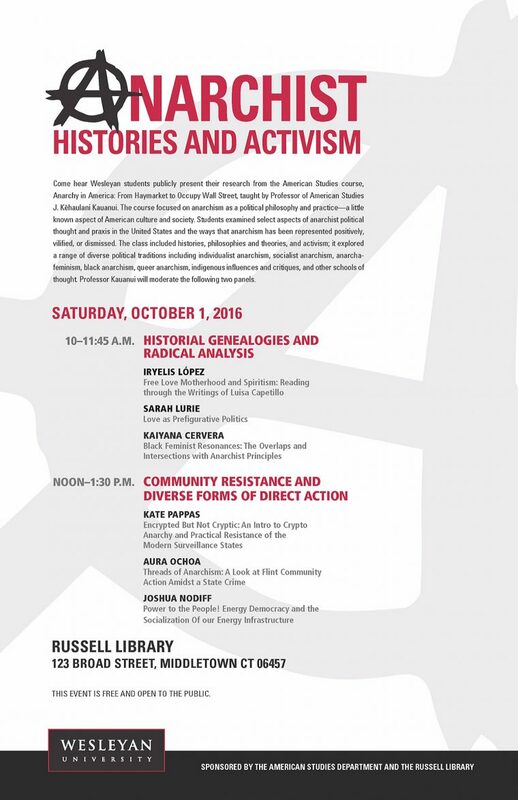 On Oct. 1, Wesleyan students will publicly present their research from the American studies course, Anarchy in America: From Haymarket Riot to Occupy Wall Street, taught by J. Kēhaulani Kauanui, chair and professor of American studies, professor of anthropology. The course focused on anarchism as a political philosophy and practice — a little known, aspect of American culture and society. The presentations will take place at Russell Library, 123 Broad Street, Middletown, CT 06457.